There’s a great big world out there waiting to be discovered — one chock full of fun, surprising, and mind-expanding experiences. So why would you visit a fake castle when you can see a real one? Are sweaty actors in Mickey costumes really more exciting than black bears in the wild? Can dry ice on a Disney stage compete with dozens of geysers spewing steam fifty feet into the air? 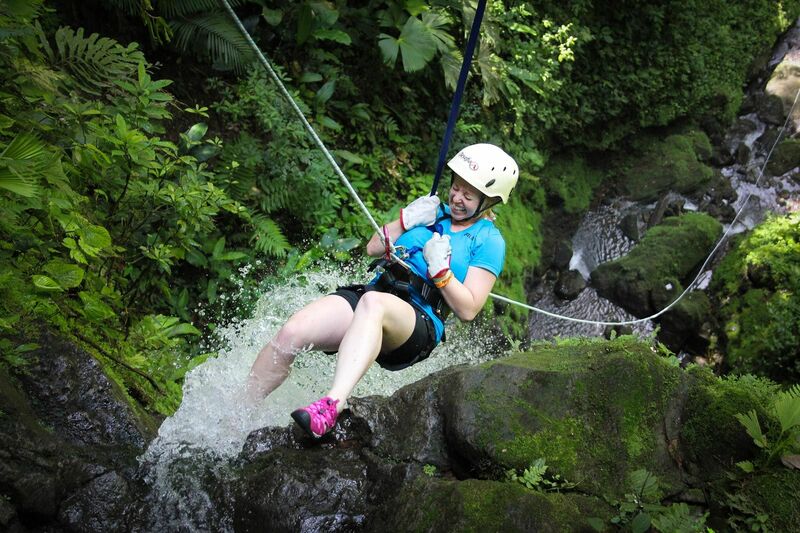 It’s hard for kids not to like a beach vacation, and they’ll definitely find that on Costa Rica’s Pacific Coast. 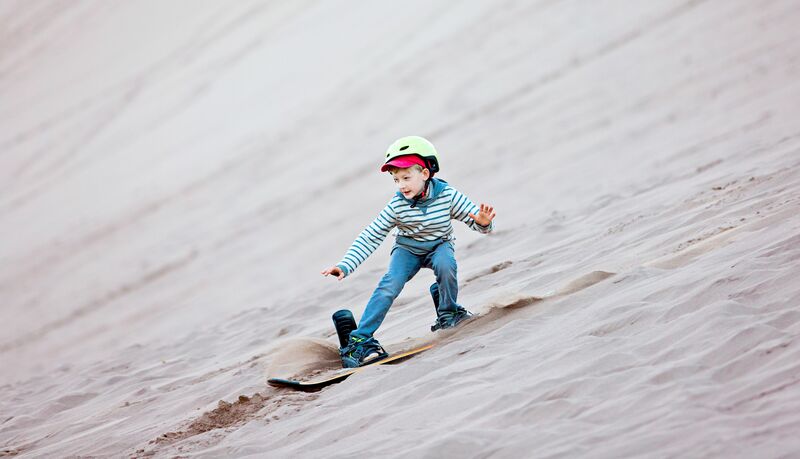 In towns like Nosara, the kids can start their days with surf lessons and spend the afternoon ziplining 2,400 feet across a canyon, riding horses along the beach, or canoeing down an alligator-filled river (keep those hands inside!). 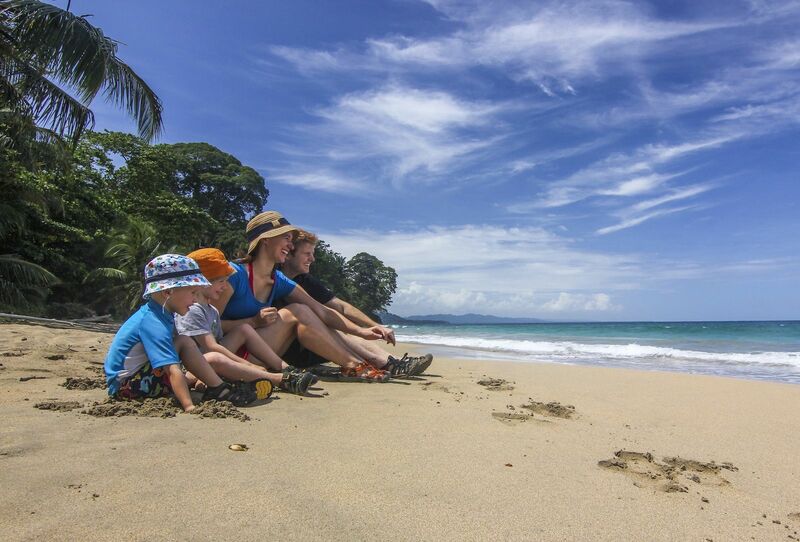 Walking through the scrappy forest to the beach they’ll see, and definitely hear, very loud howler monkeys in the trees above, and glimpse purple crabs scurrying across the sand in front of you. From there it’s a pretty long drive — several miles of it on a very rutted road — to the Monteverde Cloud Forest Reserve, but the bumpy ride is worth it. 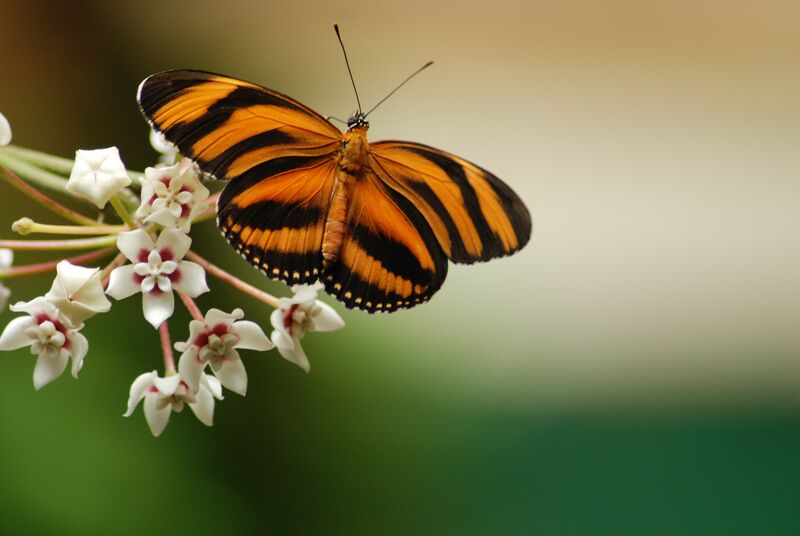 Monteverde has some of the greatest biodiversity on earth, with over 3000 plant species alone. Get a guide and marvel at the fact that the forest canopy, where the weather is totally different than below the trees, is home to hundreds of diverse species that never touch the ground. Take a night hike organized by your hotel and check out the animals that are invisible by day. At the Butterfly Garden, you’ll not only hang out in rooms among dozens of butterfly species and also see dozens of types of cocoons, you’ll also be introduced to weird, and large, bugs in the insect room. You might shudder when your kids pick up wild cockroaches in the insect room, but secretly you’ll be glad they had the guts to do so. You may know Barcelona for the nightlife, but it is also a super place to take the kids. The zoo is one of the smallest and most accessible we’ve seen in a big city, and it’s right next to Ciutadella, a park where you can rent bikes and linger by a lake. There’s also a Museum of Chocolate, an aquarium, and a cable car that takes you right over the port to the hill at Montjuic. All of that is located on the seaside part of town, where the pedestrian streets are so narrow in some spots that your (adult) arms can span across them. Neighborhoods here like El Born also have quirky shops tweens and teens will enjoy. On the hillside of town, a funicular takes you to Tibidabo, a just-right sized amusement park sitting 1,680 feet above the city. While the kids zip on the roller coaster or log ride, you can sip your draft beer as you wander the tree-shaded lanes and gaze at the sweeping vista of Barcelona and the Mediterranean. This side of town also has a science museum, CosmoCaixa, that manages to be both aesthetic and fascinating, and Parc Güell, gardens designed by Antoni Gaudi, with buildings that look like life-size gingerbread houses and caverns held up by bizarre columns. 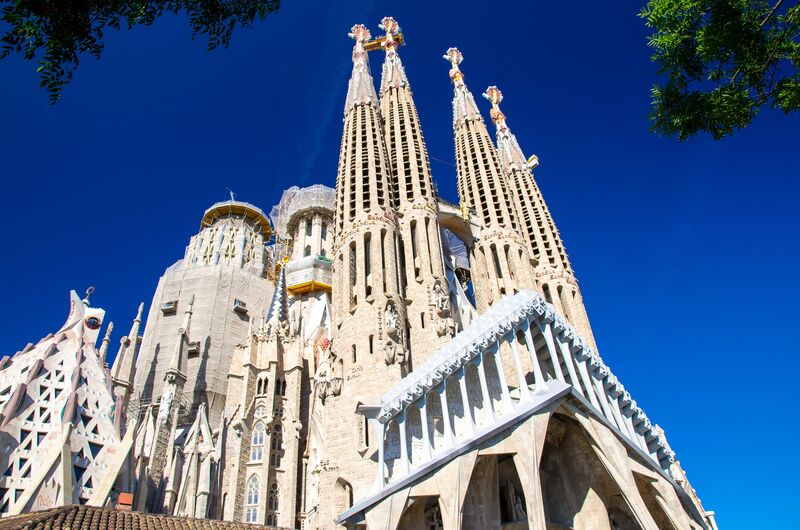 Gaudi’s most famous creation is the Catedral de la Sagrada Familia (advance tickets for it and Parc Güell are a must). With some pre-explanation, your kids will appreciate just how bizarre Gaudi’ architecture was. Also, at Gaudi-designed Casa Milà, the rooftop spires look like Star Wars stormtroopers. What about the heat (if it’s summer) and the late hours? Barceloneta Beach is a great place to cool off, and you can take a pedicab from there for lunch at a beachside chiringuito. If you’ve rented a car, a 90-minute drive will take you to tiny beach coves set into the wooded hillsides of the Costa Brava. Since many restaurants don’t open until 9:00 p.m., you can make the latest lunch reservation possible (such as at 4:00 p.m.) and call it dinner, or make a meal of evening tapas, which can be found all over town. This northern Chilean desert — the planet’s driest — has some of the wildest and most otherworldly landscapes anywhere. After arriving on one of the many inexpensive flights from the Chilean capital Santiago, you’ll rent an off-road vehicle and drive to San Pedro de Atacama, an oasis town with a dirt road and single-story, adobe buildings. From there, the options are endless: spelunking in the Valley of Death, sandboarding in the Valley of the Moon, seeing pink flamingos feeding on brine shrimp while you walk on crusted salt at the Laguna Chaxa, visiting the operations center of the largest Earth-based telescope, and gazing at a night sky so star-studded you feel like you’re on a starship in outer space. 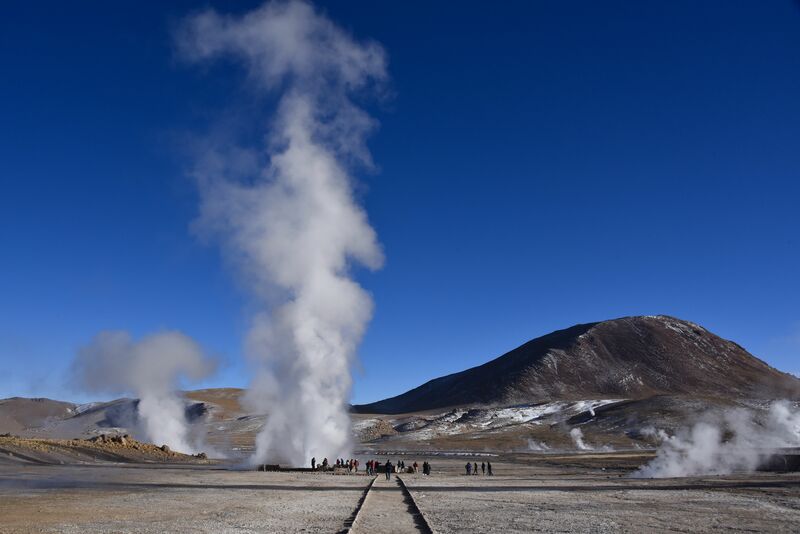 Add to that a pre-dawn visit to the Tatio geyser field, 14,173 feet above sea level, where over 80 fumaroles thrust steam up towards the deep blue sky air and dark liquid pools gurgle as they would in a sci-fi movie, as well sightings of orange-furred vicuña and red-footed Andean geese, and you have a family vacation that is hard to replicate anywhere else on earth. Since Atacama is a high-altitude desert, hot days give way to cold nights. Over dinner, your family can reminisce about the day as a fire burns in the middle of the cozy restaurant, sending smoke into the sky through a hole in the thatched roof. You are in the desert, after all. It never rains. Hopefully, kids under 12 are not watching Games of Thrones, seeing as someone gets maimed every five minutes. 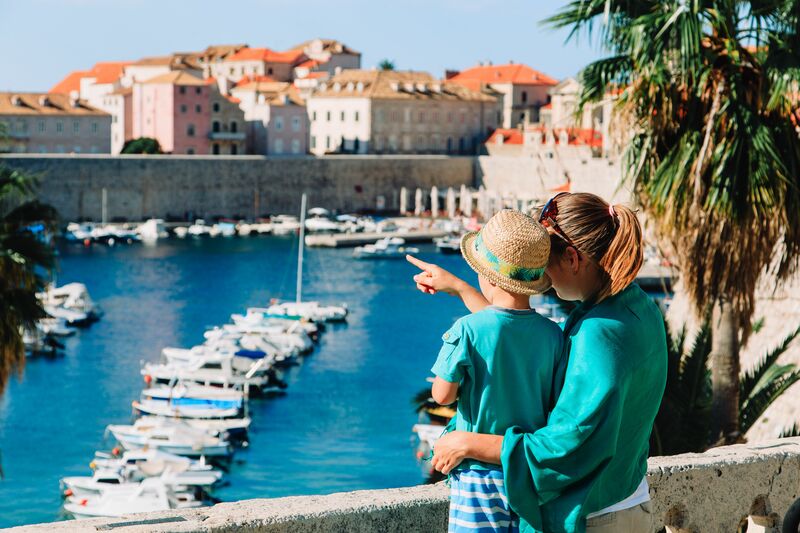 But even without knowing about the show’s King’s Landing, filmed in Dubrovnik, kids will appreciate seeing a real-life medieval town completely enclosed within massive walls that are over 80 feet tall in places — and of course, GoT — watching teens will love it. The main town of Dubrovnik even had a moat all the way around it, although some of that has been filled in. If it’s summertime, you should walk the wall at 9:00 a.m., before it gets crowded and hot. After that, there are dozens of beaches to cool off, like Copacabana Beach, where kids can spend hours in a big floaty structure, with stairs and slides. A boat can also take you to the island of Mljet, part of which is a wooded national park; there you can rent mountain bikes and ride through the trees around a big lake. There’s a section of the lake to stop and swim. On the way to Mljet, the boat can stop at places to jump off rocks into the sea, or to swim to underwater caves. 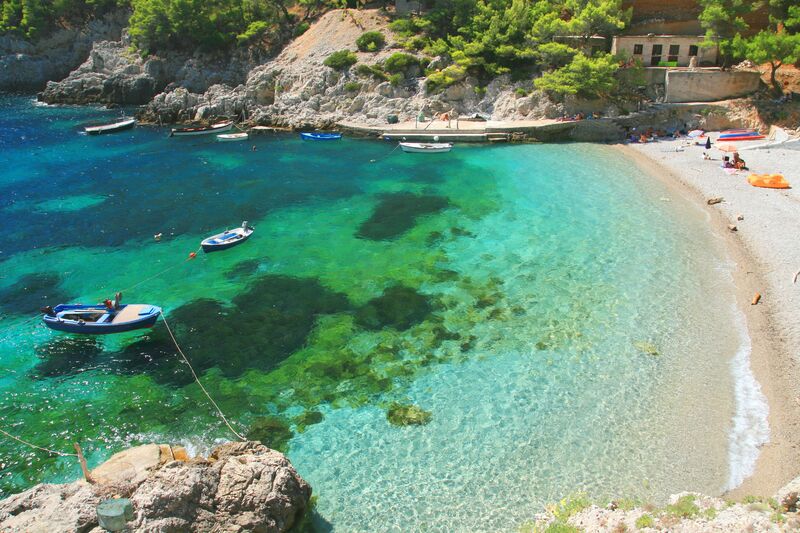 You can also drive to tiny, protected beach coves south of Dubrovnik. They feel like having a massive swimming pool all to yourself. 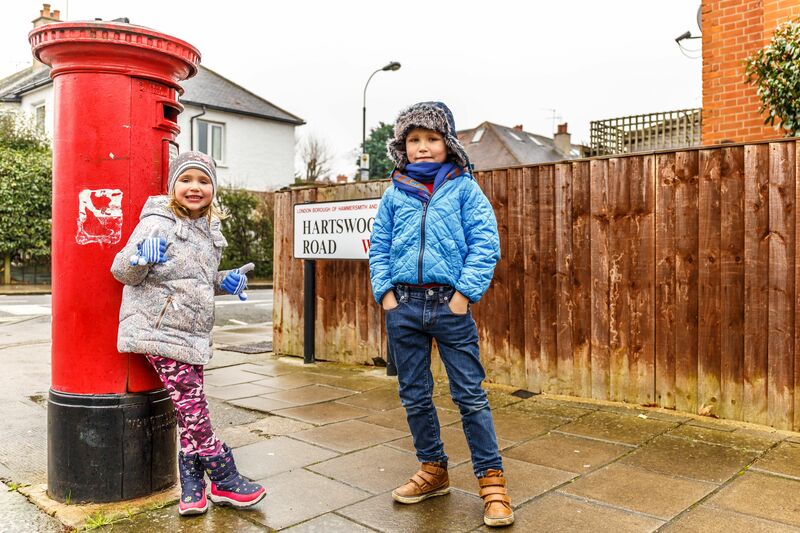 London might just have more cool things for kids to do than any other major European city. 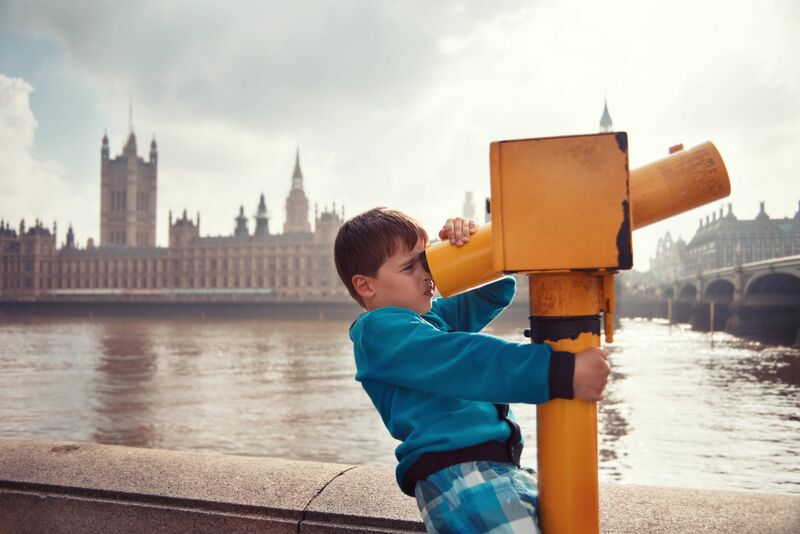 Instead of seeing the tiny, phony castle in Disneyworld, what could be more kid-pleasing than a visit to Buckingham Palace? Get there by 10:45 am to watch the changing of the guard. There’s also the Tower of London, with its eerie Medieval history, Beefeater guards, and crown jewels, and the London Eye, a massive ferris wheel that takes you 443 feet above the city. Kids love riding in real double-decker buses and then pretending to drive them at the London Transport Museum. While you read how the London Underground was built, your kids can get into a simulator and pretend to drive an underground train themselves. London’s museums are simply some of the best in the world, for adults and kids. The Natural History Museum is mind-blowing in both the size of its massive collection and in its physical space, which is bigger than any palace hall we can recall. The Science Museum is in a less impressive home, but you could still spend hours there fiddling with the interactive exhibits. In Kensington Gardens, the Princess of Wales Memorial Playground — with a huge wooden pirate ships and teepees — makes a mockery of most kiddy parks. From there, it’s not far to the Serpentine Lake that divides Kensington Gardens and Hyde Park, and where you can rent paddle boats. If you plan in advance, you can also catch a daytime show like Peter Pan at Regent Park’s Open Air Theatre, and it costs a lot less than Matilda: The Musical at Covent Garden. If that all isn’t enough, you can take a 45-minute train to the studios where the Harry Potter films were made (just don’t drink the sickly sweet butterbeer). Or you can take the train to Oxford and visit the Christ Church College dining hall, which was the original inspiration for Hogwarts’s main hall, and afterwards go punting on the canals behind Oxford. Unlike other world capitals, Washington, DC is not the country’s premier city by any cultural, financial, or population-size measure. Maybe that’s why so many US kids have never been there. But seeing where the nation’s laws are made is a valuable thing to do, and will make for a memorable family vacation. A guided tour of Congress starts under the massive Capitol dome, where you hear the unnerving fact that it weighs 4,500 tons, and is a fascinating lesson in the nation’s history. After that, the Library of Congress is welcome shrine to learning and education. Outside, walking to the Washington Monument and then the Lincoln Memorial, followed by the Martin Luther King Jr. Memorial on the shore of the Potomac’s Tidal Basin, is, well, a lot of walking — but each one is impressive in different ways. The memorials to world wars and the Vietnam War Memorial also provide an opportunity for some important history lessons. You could also cycle to some of these spots as bikes are available for rent right by the Mall. 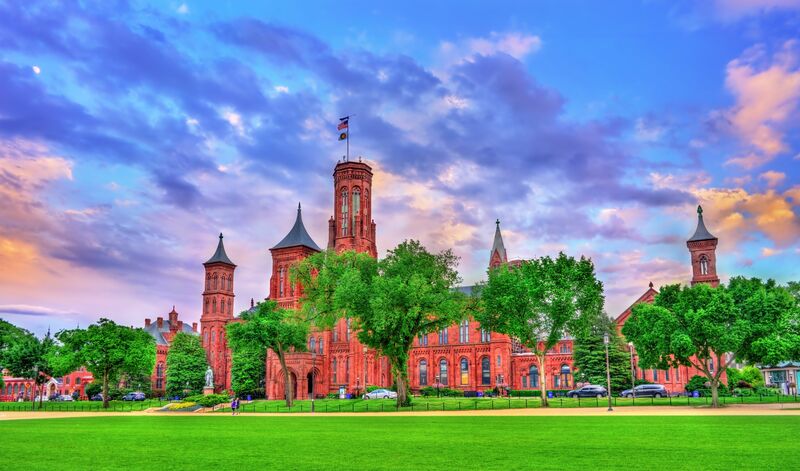 And then there are the many top museums lining the National Mall, that two-mile-long green space between the Capitol Building and the Lincoln Memorial. You could probably spend an entire day at the National Air & Space Museum, if you count the time watching films in the Planetarium and at the IMAX theatre. But don’t do that, because you have to stop for lunch at the dining hall of the National Museum of the American Indian, and check out the spacious modern wing of the Smithsonian American Art Museum. For older kids accustomed to instant news all the time, a look at the history of news at the Newseum, near the Mall, will be a fascinating look at how much has changed. If big cities are not your thing, Whistler offers a ridiculous amount of kid-centric activities all year. In winter, Whistler is not just North America’s largest ski area; it has one of the most thoughtful snow school programs around. It’s also got mountain activities geared to young skiers and riders, including terrain parks for the pint-sized set and a “Magic Castle” hidden in the trees. 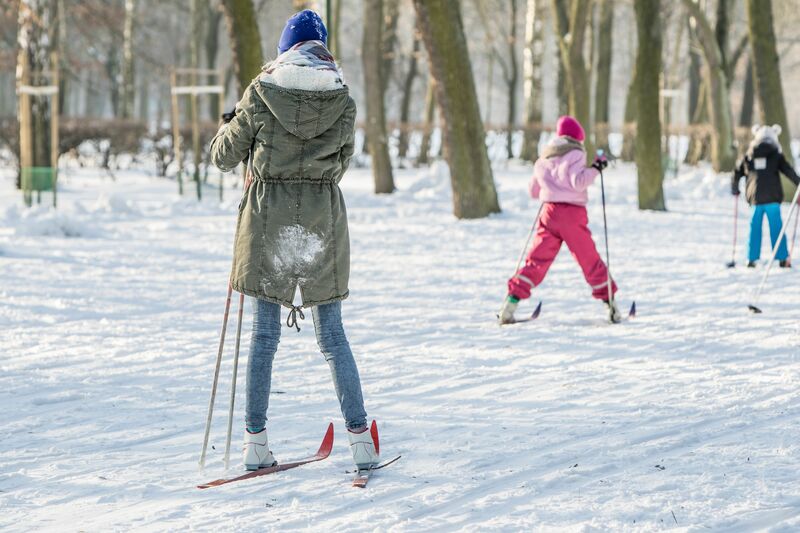 In winter, you can sleigh-riding, sled, hit the Tube Park, cross-country ski or snowshoe through the woods, and ice skate as well. 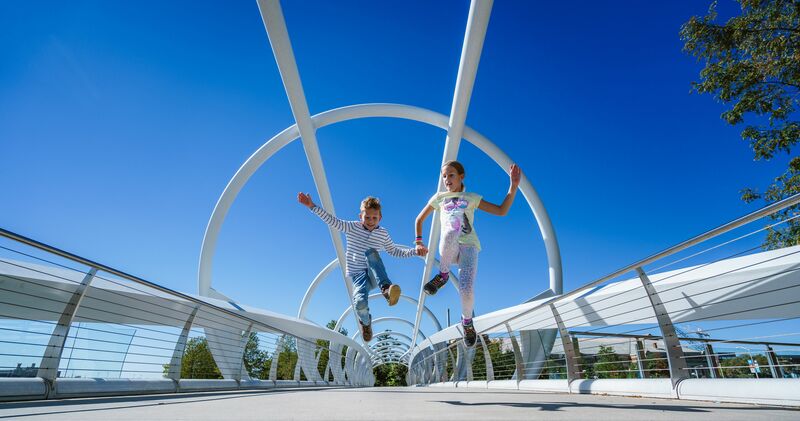 In both winter and summer, you can take the kids ziplining or swimming at the Meadowlands Sports Recreation Center, reachable by bus from the main village. Kids can also go bouncing or axe throwing at targets. 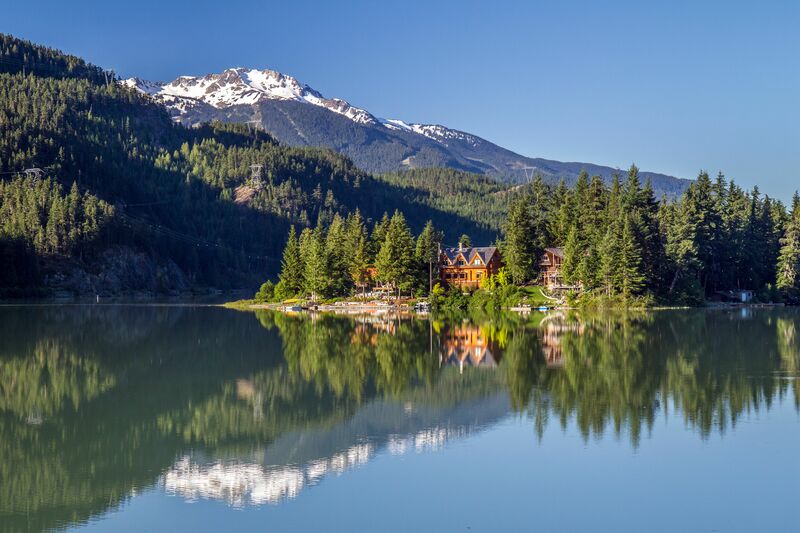 In summer, you can take the gondola and then the Peak Chair to the top of Blackcomb Mountain and take in the panorama of the BC’s Coastal Mountains, many of which have snowy glaciers all year. If the view doesn’t inspire your kids, the symbol of the 2010 Winter Olympics, a big stone Inukshuk statue they can climb up to, probably will. Depending on your level of ambition, you can chairlift or trek back down. You might see marmots and black bears along your hike, or even see a mama bear and her cubs down in the valley. Whistler has dozens of summer mountain biking trails, including easier ones for younger riders. You can picnic in Lost Lake, sail on Alta Lake, or canoe or kayak between Alta and Green Lakes. There are horsebacking riding and biking, lots of biking, since the valley floor has 24 miles of paved trails for biking or inline skating. If you rent bikes when you get to Whistler (with bike trailers for a little one, if need be), you won’t have to get in a car during your entire visit. With the freedom that riding a bike gives kids, you can be sure they’ll happily remember their summer stay in Whistler for a long time to come.